For surgeons, it can be difficult to get patients to come back a year after surgery for follow-up tests or an office visit. Patients may forget. They may think their primary care physician will handle follow-up testing. They may live far from the surgeon’s office. Travel and tests can be expensive. But in many cases, a follow-up image or test is not just a “nice to have,” it can save lives. As an example, patients who have had an endovascular aortic repair (EVAR) must visit their vascular surgeon a year later and afterwards since the problem could recur or the repair may need a fix. “Almost all vascular surgeons believe strongly in the longitudinal care of their patients. We believe that it’s the responsibility of the surgeon to stay in touch with patients after operation,” said Dr. Jens Eldrup-Jorgensen, medical director of the Society for Vascular Surgery’s Vascular Quality Initiative, which collects de-indentified patient data to track the success of procedures. For 2017, the VQI set a national goal for all of its 430 participating hospitals and other medical centers to get 100 percent of their EVAR patients back for follow-up scans at one year. That’s a tall order, particularly in rural or under-resourced areas. An EVAR scan can cost up to $1,000 and could be out of pocket for patients with high deductibles. Furthermore, the scan may not take place same day as the follow-up office visit, which could require an overnight stay or a return trip. Much of the work of getting a patient back in office falls upon the surgeon’s vascular team and office staff. 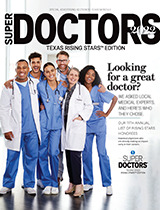 The process may involve making multiple phone calls, sending letters and leaving messages.The VQI has tracked how successful centers and physician offices have been at getting patients to return, and found that many offices have developed some creative approaches that any doctor’s office might be able to use. • Sign here. One Indiana surgeon developed a contract that the patients are asked to sign before surgery. The contract states that they agree to return for follow-up testing. If the patient doesn’t sign, he may be asked to find another surgeon. • A doctor’s personal call. A University of Utah patient consistently ignored phone calls and certified letters. When the nurse finally got him on the phone she asked what it would take to get him to follow up. He said, “I will get my scan done here (Wyoming) and send you the results, only if the doctor will call me personally to review the results.” The nurse and surgeon made sure to hold up their end of the deal and the follow up was completed. • Affordable stays. One patient lived several hundred miles away. He didn’t have the funds for travel and an overnight stay but he did own a motor home. Staff arranged for him to be able to park his motor home in the hospital parking lot where he could affordably stay. While “camping” in the hospital lot, he was able to have his office visit and scan. • Personnel: Some smaller centers have had strong compliance and in some cases as high as 100 percent. Their secret – having a dedicated staff person whose job is to coordinate patient EVAR long term follow-up scans with other doctor visits so that a patient who must travel a long distance can get multiple visits scheduled on the same day. Coordinating visits can be easier for smaller centers, who often know their patients personally and know most of the hospital personnel. When a patient is working with a familiar nurse who is setting up appointments, the patient is more cooperative. • Finding funds. The cost of an EVAR scan may fall under the deductible for some patients, who simply can’t pay for it, even though it could save their lives. In certain cases, staff have found funding to help patients pay for the scan. • Grandkids. Some staff have taken to calling the grandchildren and other relatives whose contact info they have diligently collected to help bring their relatives back for follow-up. Grandchildren, they found, are often successful at getting grandpa back in for his test. Using a personal touch can be quite helpful, said University of Utah research associate Julie Beckstrom who works with vascular surgeon Dr. Benjamin Brooke.